His comments came days after US Vice-President Mike Pence alleged China of using "debt diplomacy" to expand its global influence and said that Hambantota port "may soon become a forward military base for China's growing blue-water navy". Sri Lankan Prime Minister Ranil Wickremesinghe has rejected US’ claim that China might set up a “forward military base” at a strategic port it has leased to the communist nation, describing it as “imaginary”. Last year, Colombo had leased the Hambantota port to Beijing for 99 years after it failed to repay a Chinese loan of USD 1.4 billion for the project. China gaining the control of the port has raised concerns that the country could use the harbour for military purposes. “There are no foreign naval bases in Sri Lanka,” he emphasised. His comments came days after US Vice-President Mike Pence alleged China of using “debt diplomacy” to expand its global influence and said that Hambantota “may soon become a forward military base for China’s growing blue-water navy”. Several media reports suggested that the deepwater port, which is near a main shipping route between Asia and Europe, is likely to play a major role in China’s Belt and Road Initiative (BRI). The BRI, also known as the Silk Road Economic Belt, is a development strategy proposed by the Chinese government which focuses on connectivity and cooperation between Eurasian countries. The Chinese government calls the initiative “a bid to enhance regional connectivity and embrace a brighter future”. However, other nations, including India, see it as a push by Beijing to take a larger role in global affairs with a China-centred trading network. India’s has been vocal in expressing its opposition to the BRI, which includes the China-Pakistan Economic Corridor (CPEC) that traverses through Pakistan-occupied Kashmir. 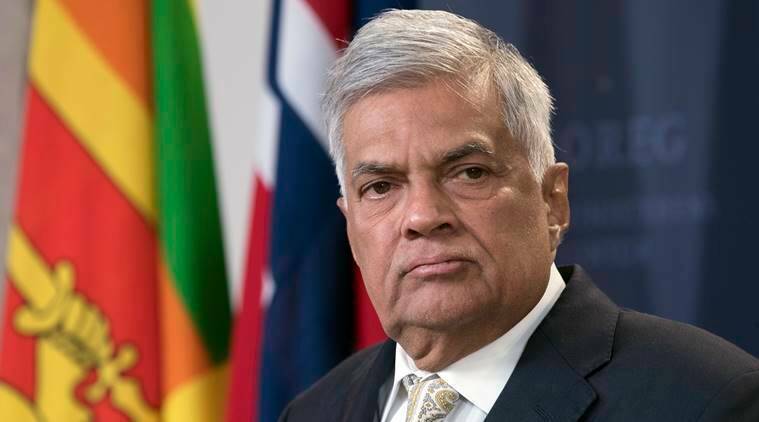 Wickremesinghe said Lankan Navy’s Southern Command was being relocated in the Hambantota port to control security and “the US Defence Department has been briefed on these developments”. He said Sri Lanka was also concluding a commercial agreement that would see the Airport Authority of India (AAI) taking over the control of the Hambantota airport, which was built with high-interest commercial loan from China. “This has resulted in a number of stakeholders intensifying their interest and presence in the Indian Ocean by expanding their fleets, upgrading their bases, securing access to foreign ports, and aggressive naval posturing via joint exercises, extended sorties, and live-fire drills. “The Indian Ocean region requires a common understanding that will ensure peace and stability within the region…There is also a need to work towards building a regional framework for both trade and security – while ensuring that the region remains free, open and inclusive…The interests of the smaller states are best served by advocating for and upholding a rule-based order in the region,” he said.